We specialise in the conservation treatment of easel paintings and large works: oil or acrylic, canvas or wooden panel, old or contemporary. The treatment of paintings can include detailed analysis of the pigments present in the artwork, microscopic investigation, and examination under ultra violet light. 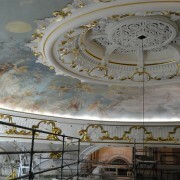 When appropriate, the traditional methods used in the painting will be used to restore the painting. Frames protect the painting. They are a structure to aid safe transportation of the artwork and can be made of various materials. Frames are simple or ornate, and comes with different finishes and textures. 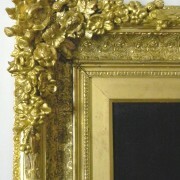 In modern times the frame might be made and applied by the artist. This is called An Artist Frame. Frames are also chosen by the owner of the artwork or the framer. Sometimes an artwork is presented without a frame. 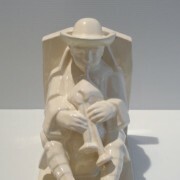 At Studio Carolina Izzo we restore and conserve sculptures, ceramics, and wooden objects. 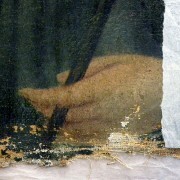 The conservation treatment is dictated by the type of material. 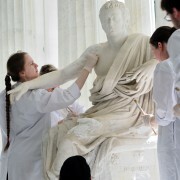 Our assessment will provide a plan to repair, restore, or conserve your object. The chosen treatment is decided after discussion with the client. 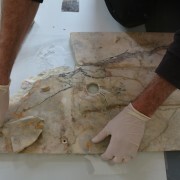 Our studio is prepared for small scale work such as re-touching a painted surface, or restoration which might involve piecing together many broken fragments. At Studio Carolina Izzo, our Heritage Team specialises in project management of conservation and restoration of historic buildings and architectural heritage. This work includes outdoor sculpture, small architectural elements, and large-scale building projects. We manage on-site conservation of architectural heritage made from a range of materials, including, painted walls and friezes, stonework, marble, timber, plasterwork. Studio Carolina Izzo can provide you with a condition report on your artwork, or the heritage elements of an historical building. 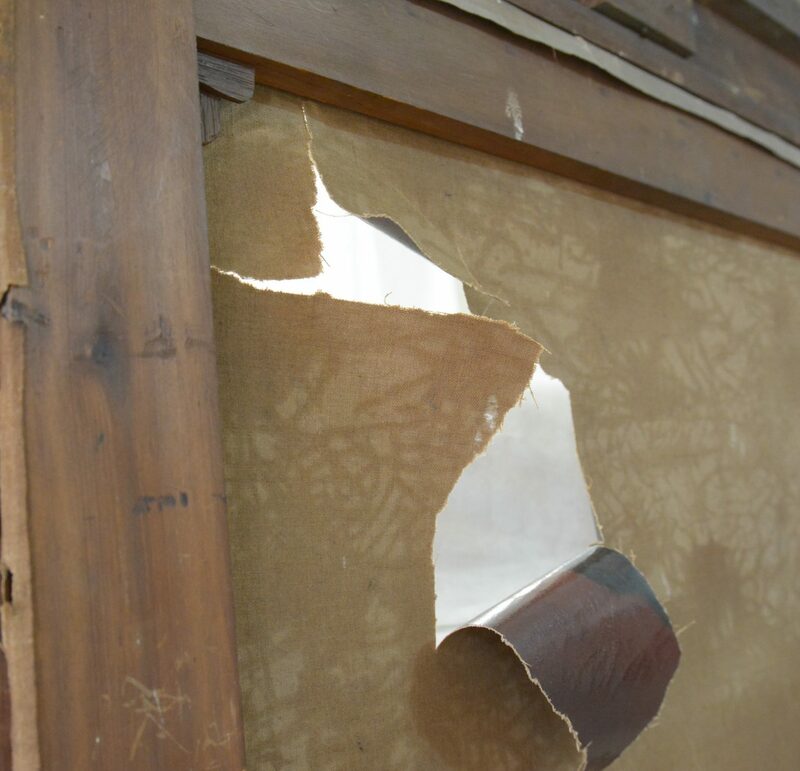 We can provide advice on how to restore and conserve damaged artwork or architectural heritage, after disaster (earthquake, flood, fire, mould, etc.). We can construct a plan, or offer advice on how to prepare your environment to be disaster ready with disaster procedure plans.Studio Carolina Izzo specialises in preventive conservation. This involves planning your collection care by way of regular maintenance. We are proud to announce that The Gold Leaf Shop is now the Oceania Agent and Distributor for the supply of Gold Leaf products from Giusto Manetti Battiloro of Florence. Please contact us for product information and price lists. We are embarking on a new initiative to keep conversations about art and heritage alive in professional and public spheres. This year the Auckland Studio will host seminars that will range in topic from, The Importance of Safe and Secure Art Transportation to Conversation with the Artist. At regular intervals, Studio Carolina Izzo – Auckland will present Artist talks, where professional artists will share stories about their art and process. This year once again Studio Carolina Izzo is offering the Preventive Conservation Field School. Accidents happen. We can help you with your insurance claim.